You will only be entitled to bring court proceedings to evict your tenant if you have served the proper possession notice first and waited until the notice period has expired. (There are a few exceptions but these are rare). If you are looking to repossess from your tenant because of rent arrears, consider whether there is any alternative first. The Landlord Law Rent Arrears Action Plan has some suggestions. It is important that possession notices are correctly drafted and the correct notice period is given. Otherwise they could be invalid and you could lose your possession claim at court. You need to be able to prove to the court that your notice has been served. Keep a copy and serve by hand. If you think the tenant will deny receiving the notice, take an independent witness with you or use a professional process server. The quickest and cheapest way to evict tenants is by using the ‘accelerated’ procedure, which is based on a previously served section 21 notice (which must give at least 2 months notice and which cannot expire before the end of the fixed term). In accelerated proceedings, the Judge makes the order on the paperwork provided and there is normally no court hearing. However despite being called ‘accelerated’ it is not particularly quick. It will normally take between 8 to 12 weeks before an order is obtained. The accelerated procedure can be used for possession only. If you are looking to base your claim on the tenants rent arrears you will have to use the standard possession procedure. However note that when using the accelerated procedure, you can bring a separate, concurrent, claim for a County Court Judgement (CCJ). If you wish to evict because of your tenants bad behaviour, you are advised not to use any of the ‘discretionary’ grounds for possession save in exceptionally serious cases. Because the tenant can put in a defence, these cases generally become long drawn out and expensive (particularly if your tenant obtains legal aid to defend). It virtually all cases it will be quicker and cheaper to wait and use the accelerated procedure. If your tenant is looking to be re-housed by the local authority, note that they will not normally do this until a possession order has been made against the tenant, and sometimes not until a bailiffs appointment has been made. As depriving someone of their home is a very serious matter, Judges will expect landlords to follow the proper procedure, have perfect paperwork, and are generally unforgiving if mistakes are made. 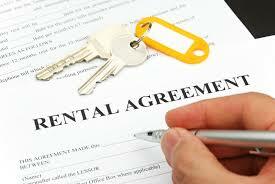 Note that if a landlord loses his claim he may be ordered to pay his tenants legal costs. This could prove very expensive if the tenant had legal aid.